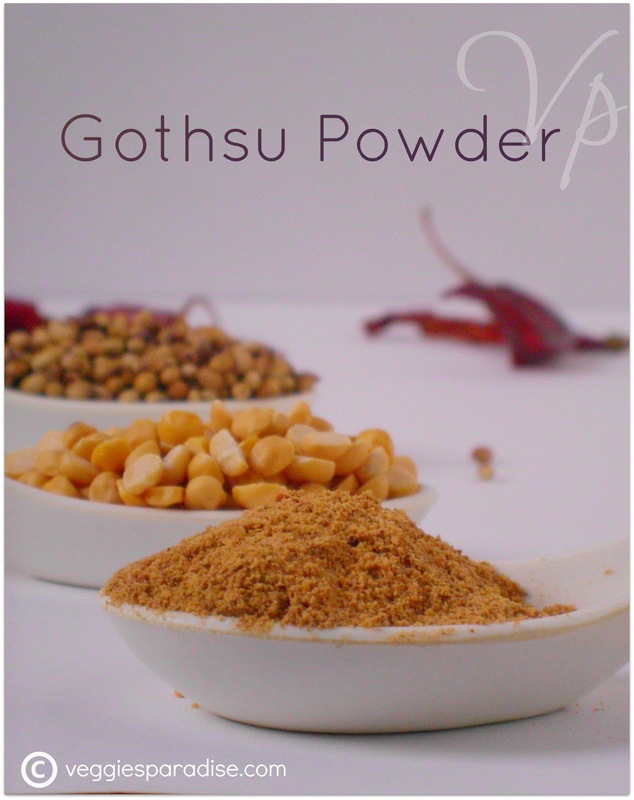 Gotsu Powder - This powder is a mixture of 3 different ingredients, channa dal, coriander seeds and red chillies. It can be sprinkled into a variety of lentil or vegetable dishes as it enhances the flavor the dish.This can be stored up to a year in a dry, airtight jar. Cool the mixture and grind in a blender until fine.Store it in a airtight jar. 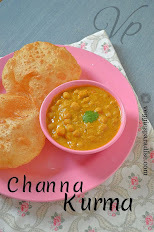 My Grand mom also add two more ingredients in this recipe and that is 2 tsp. 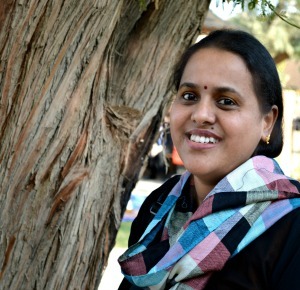 of urad dal and 1 tsp. of fenugreek seeds to this powder. wow, that looks great, love the powder ingredients. Super flavorful powder lovely one !! Nice clicks..never prepared gotsu with this combo..will try it. Nice powder for stir fries..
You make a separate powder for gothsu, thanks for sharing.. Loved the pic of this flavorful powder!! so simple and flavourful powder.. I love using the podi's in my cooking. I agree it does add a lot of flavor. Nice podi. I love the fact that each podi has a slight variation though some of the ingredients remain constant. Nice and flavorful podi...nice click. 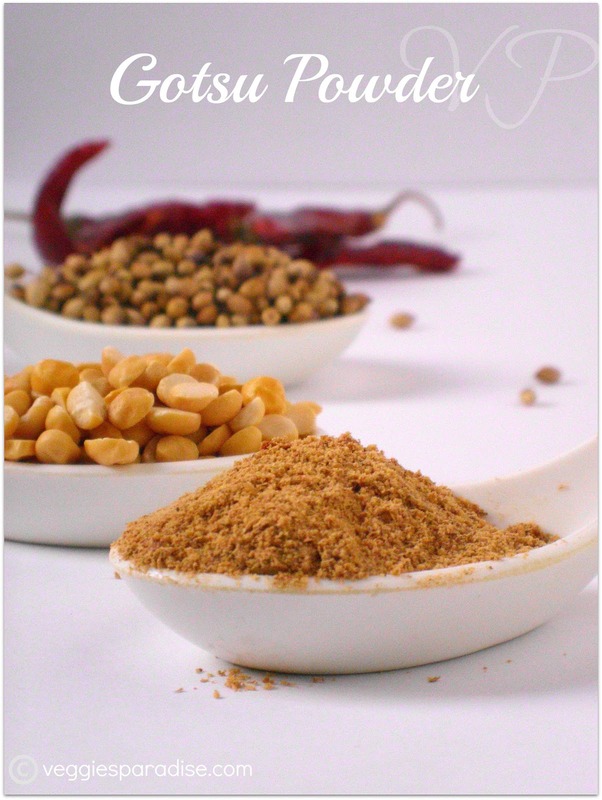 Thxs for sharing this flavourful podi!! Woww... flavourful pdr. thanks for sharing !! Did not know that you can make a powder of this type! 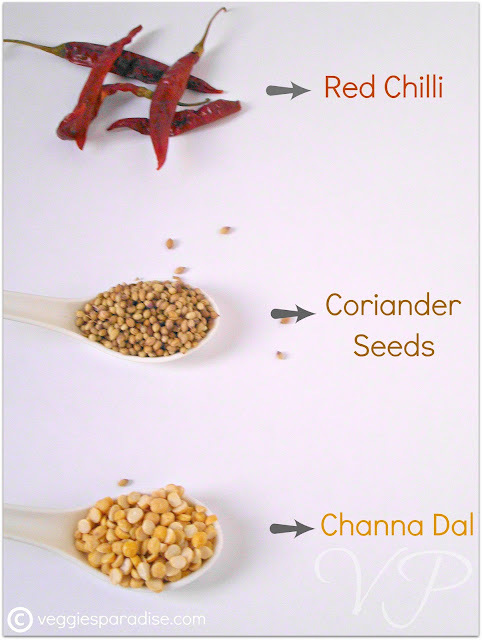 Sounds a fabulous powder and will come handy even to spice some regular veggies up. Very flavorful podi, thanks for sharing.